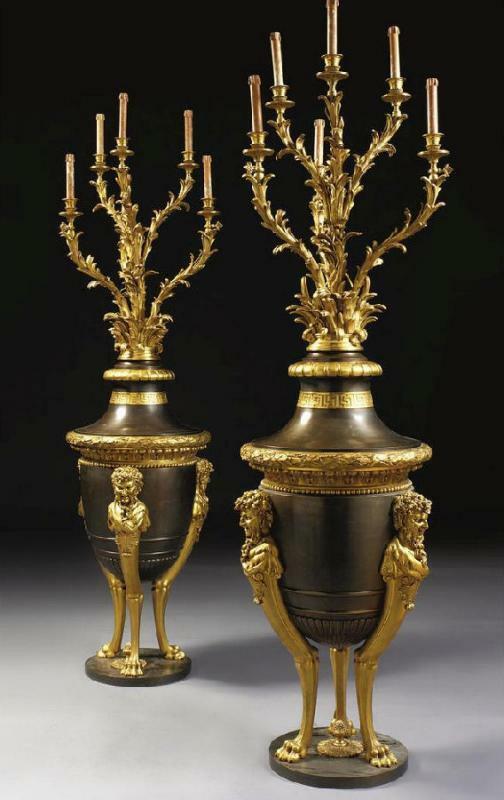 This unusual and monumental pair of antique Greek Revival bronze candelabra are distinguished by their palatial size, exceptional design and craftsmanship. Their form is of a Greek athenienne mounted with five candle arms. Originally designed to be lit by gas, the pair now feature conventional modern sockets and wiring and are ready for use, but still have their original, decorative gas valves. Their balusters in patinated bronze are decorated at the top with gilded bead and organic egg-and-dart motifs, at the base with gadrooning, and three Greek satyrs in high relief, standing on horse legs with hooves mounted to a patinated round pedestal with raised acorn finial in center. 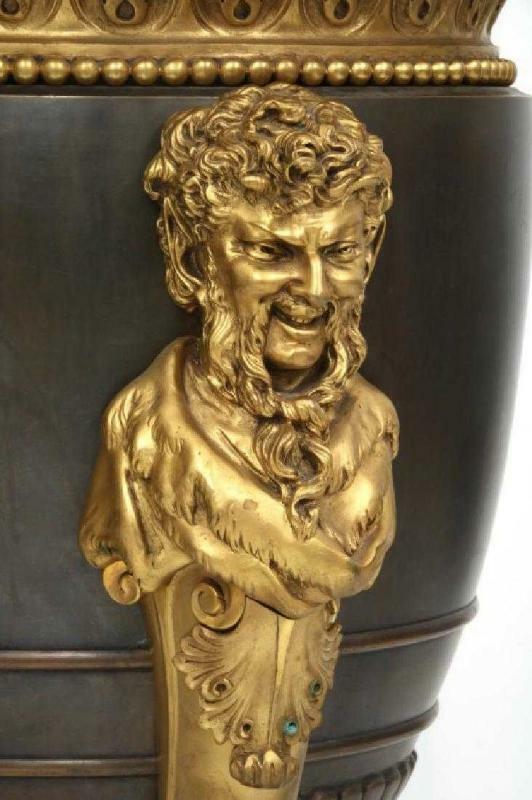 (In Greek mythology, satyrs were the lustful, drunken woodland gods and male companions of Dionysus, and were generally represented as men with horse ears and tails.) 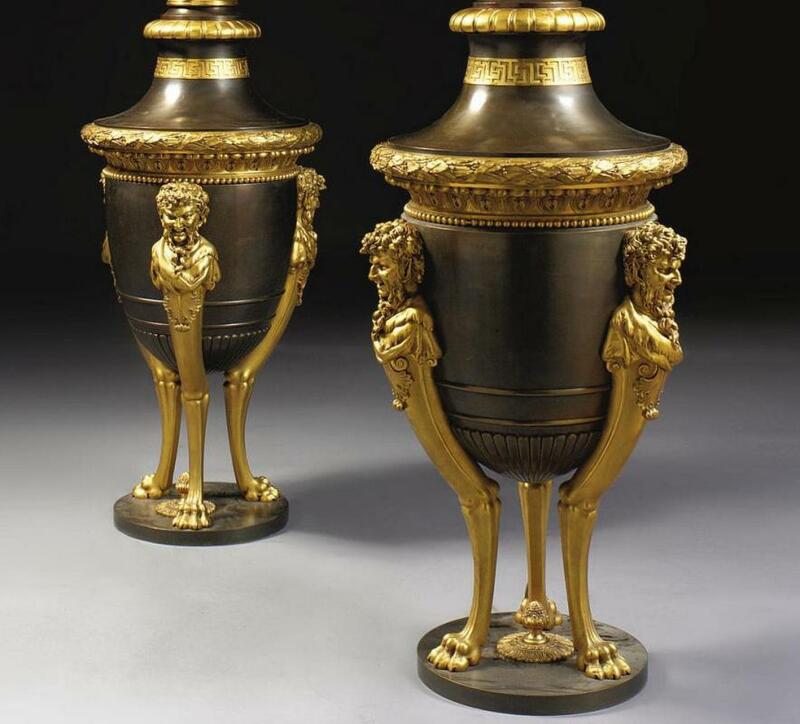 The patinated lids of the atheniennes are decorated with gilded reed-and-tie motif at the perimeter, and gilded Greek key motif at the neck below a flaring gilt rim. 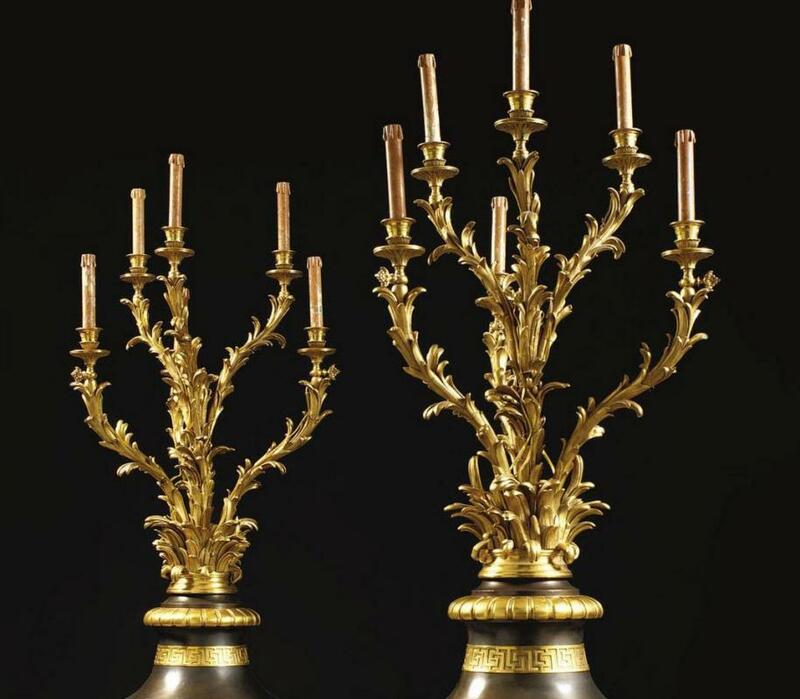 Rising from the center is a cluster of five asymmetrical flower branches, terminating with candle holders decorated with fine anthemion motifs around their circumference, and with flower petals at the base, and supported with drip pans decorated with foliage. 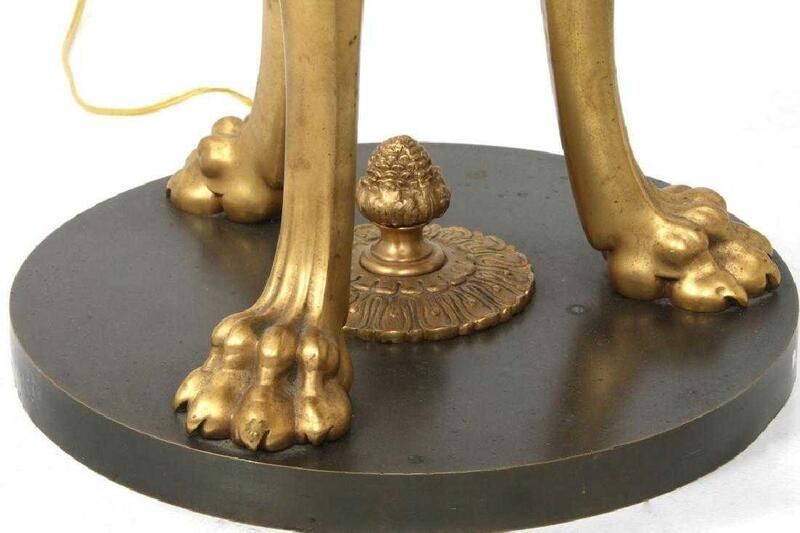 Provenance: Sotheby's. 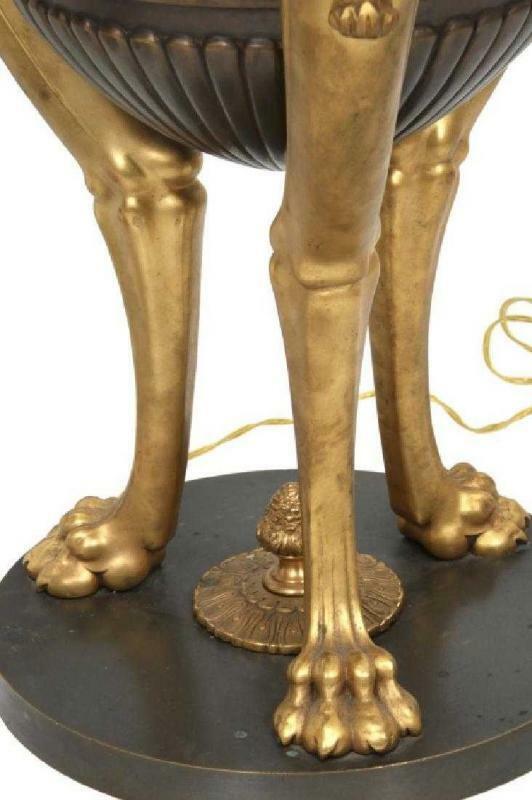 Each is in good overall condition, with minor scratches, dents and nicks, wear and discoloration to patina consistent with age and use, traces of dirt and some small patches of verdigris. 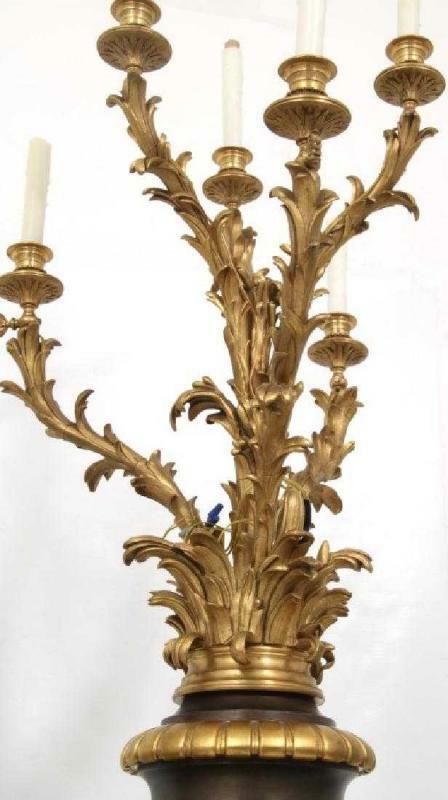 Items Similar To "Pair Antique Greek Revival Neoclassical Floor Candelabra Torchier..."